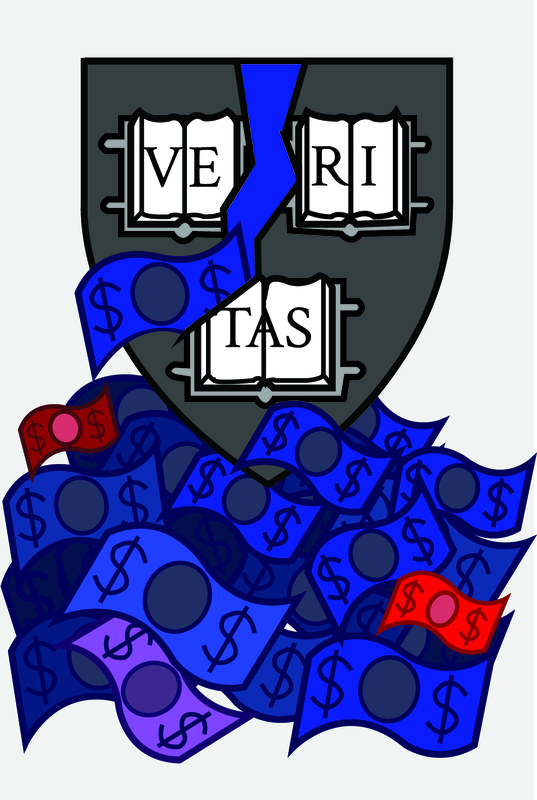 Despite Harvard’s concerted effort to present a non-partisan front, many members of the Harvard Corporation — the University’s highest governing body — still maintain strong, traceable ties to Democrats. “Here in Harvard Yard, we must embrace diversity in every possible dimension, because as Governor Baker said so eloquently, we learn from our differences — and that includes ideological diversity,” University President Lawrence S. Bacow told a crowd of hundreds at his inauguration in October 2018. During the first eight months of his presidency, Bacow has traveled across the country communicating this same message. In trips from Michigan to California, he has sought to change perceptions of Harvard as an East Coast, liberal, elitist institution. In five separate trips to Washington, D.C., he has met with lawmakers across the aisle. The 12-member body currently includes former Obama administration officials, outspoken critics of President Donald Trump, and a number of high-spending political donors who overwhelmingly give to Democratic candidates and campaign finance committees. Since 1990 — the earliest date for which data was available — members of the Corporation and Bacow have collectively donated more than $2.7 million to Democratic candidates and campaign finance committees in federal elections, according to data from the Center for Responsive Politics and the Federal Election Commission. $322,149 has gone to Republican candidates and organizations in that same time period. Out of these thirteen individuals, only two Corporation members — James W. Breyer and Paul J. Finnegan ’75 — have given the majority of their political donations to Republican candidates or political organizations. Bacow — who served on the Corporation from 2011 until he assumed the presidency in July — has donated more than $9,000 to Democrats since 1990, according to the Center for Responsive Politics. In the most recent election cycle, he donated $1,000 to U.S. Representative Raja Krishnamoorthi (D-Ill.). Penny S. Pritzker ’81 is by far the most significant donor among Corporation members, giving over $1.5 million to Democrats since 1990. She also gave $22,000 to Republicans between 1996 and 2006. A member of the Pritzker family, one of America’s wealthiest families and owners of the Hyatt hotel chain, Pritzker has long been involved in politics — most notably through her close connections to former President Barack Obama. She is one of the newest members of the Corporation, having assumed her role in July 2018. Pritzker did not respond to a request for comment. Paul Finnegan — the University Treasurer, who also sits on the Corporation — has given $226,650 to Republicans and $169,774 to Democrats since 1990. Finnegan wrote in an emailed statement that he considers himself an independent. Finnegan, a Chicago-based investor, has also been “an enthusiastic supporter” of Democratic Chicago Mayor Rahm Emanuel since his 2015 campaign, he wrote. He contributed $100,000 to the mayor’s campaign fund that year, a sum not included in Corporation-wide totals because it was a local election. Other notable donors on the Corporation include lawyer Theodore V. Wells, Jr. — who has given more than half a million dollars to Democrats since 1990 — and Corporation Senior Fellow William F. Lee ’72, who has donated $148,600 to Democrats since 1994. Wells and Lee have given $1,500 and $6,000 to Republicans since 1990, respectively. Lee also gave $2,700 to an independent candidate in 2017. Kenneth I. Chenault and Karen Gordon Mills ’75 have also each given more than $100,000 to Democrats since 1990. Wells, Lee, Chenault, and Mills did not respond to requests for comment. University of California, Berkeley Professor Susan L. Graham ’64 is the only member of the Corporation who has not donated any money to political campaigns or organizations since 1990. The Corporation is not only tied to Democratic candidates through members’ donations, however. Several members have also served in Democratic White Houses. Private equity executive David M. Rubenstein worked for former President Jimmy Carter in the 1970s. He joined Carter’s presidential campaign in 1976 and served as a deputy to domestic policy adviser Stuart Eizenstat during Carter’s first and only term. After Carter failed to win a second-term, Rubenstein left politics for the corporate world. All other members who have worked in federal politics did so in the Obama administration. Penny Pritzker served as the U.S. Secretary of Commerce from 2013 to 2017 after co-chairing Obama’s 2012 re-election campaign. A native Chicagoan, Pritzker had long-standing ties to Obama, who she has known since the 1990s when he and his in-laws would frequent her Lake Michigan lakehouse. Karen Gordon Mills also worked the Obama White House, serving as the 23rd U.S. Small Business Administrator from 2009 to 2013 — which Obama elevated to a Cabinet-level post in 2012. Theodore Wells also has ties to presidential campaigns. In 2000, he served as Democrat Bill Bradley’s National Campaign Treasurer during his unsuccessful run. Jessica Tuchman Mathews ’67 has not worked in the White House, but she confirmed in an email that she is a Democrat and a “strong” critic of Trump. “I am indeed a Democrat and a strong critic in print and in person of President Trump from 2015,” she wrote. “In this most polarized political environment ever, Harvard has made a conscious effort (which the Corporation has been aware of and in strong support of) to debate issues from all political viewpoints, invite speakers reflecting that, and made a particular effort to create and support bipartisan projects where the subject matter is appropriate,” Matthews added. In 1961, William F. Buckley, a conservative commentator and author, famously said, “I would rather be governed by the first 2000 people in the Boston telephone directory than by the 2000 people on the faculty of Harvard University." Multiple higher education experts pointed to this quip in addressing the perception that elite institutions like Harvard are havens for liberal thinking. Higher education in general has faced a hostile political climate in recent years, with Republicans questioning the merits of universities and at times, promoting and passing policies that negatively impact them. David A. Hopkins ’99, a political science professor at Boston College, said contemporary politics as they relate to higher education are undergoing a shift. More Republican support now comes from those without four year college degrees than in previous political eras, according to Hopkins. “Academia in general is going to be drawn more and more into a partisan debate where it's identified really with the Democratic party and not the Republican party,” Hopkins said. In addition to Corporation members, Harvard faculty, instructors, and researchers have contributed overwhelmingly to federal Democratic campaigns and political organizations, according to a 2015 Crimson analysis of Federal Election Commission filings. A 2018 Crimson survey of Harvard’s Faculty of Arts and Sciences revealed that the vast majority of respondents identified as “liberal” or “very liberal,” with a similarly large majority having voted for Hillary Clinton in the 2016 presidential election. For Frederick M. Hess, an education expert with the American Enterprise Institute, the Corporation’s alignment with professors’ trends “reaffirms” his belief that Harvard is not ideologically neutral. “When we see what we already know, which is that leadership at a place like Harvard is highly partisan, that makes it harder to make the case that you're rising above partisan divides,” Hess said. Swain also noted that the University has invited a “breadth of speakers from across the political and ideological spectrum” in recent years to speak at Harvard, including U.S. Secretary of Education Betsy DeVos, Senator Richard J. Durbin (D-Ill.), and Senate Majority Leader Mitch McConnell (R-Ky.).